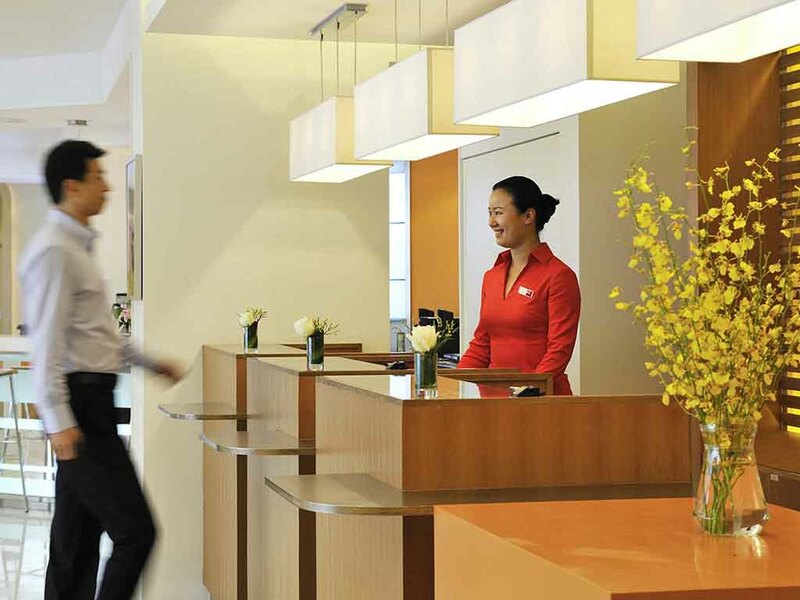 Strategically located in the heart of Chengdu business district and shopping mall ibis Chengdu Chunxi Hotel is just 30 minutes away from Chengdu Airport with easy access to public transport. Featuring 131 lovely rooms with complimentary Internet access including restaurant bar and 24-hour Reception. Perfect for business or leisure stay. Tease your tastebud with the authentic Sichuan cuisine served to you in a stylish dining atmosphere. International delicacies is also available for those who prefer a wider variety. The Qing restaurant is open daily and located on the second floor. Located on the first floor, the Love bar offers a wide variety of alcoholic drinks coffee tea and juices. A recommended place to relax and unwind after a days work.